Happy Sunday~!! Some of you might wonder what is monogram-with doily theme about as per my entry here. 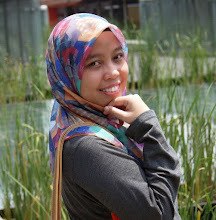 While blog-walking, I came across something similar with our giveaway for this month. What is it..?? It's a doily monogram! The doily monogram is printed on a canvas bag! It's super cute isn't it..?? OK peeps, our giveaway for this month will be something similar as per design on the canvas bag above. I hope this entry will give you a clear picture of what doily monogram is. Interested? Leave your comments in the comment box here with your reasons why you love doilies. Offer ends on November 8, 2010. Only a winner will be chosen. All the best peeps~!! 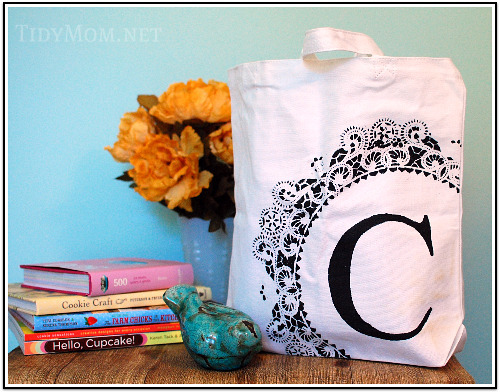 Last but not least, if you are interested to diy-ing your doily monogram canvas bag, you may find the tutorial here. Perfect for all occasions. Happy DIY~! !